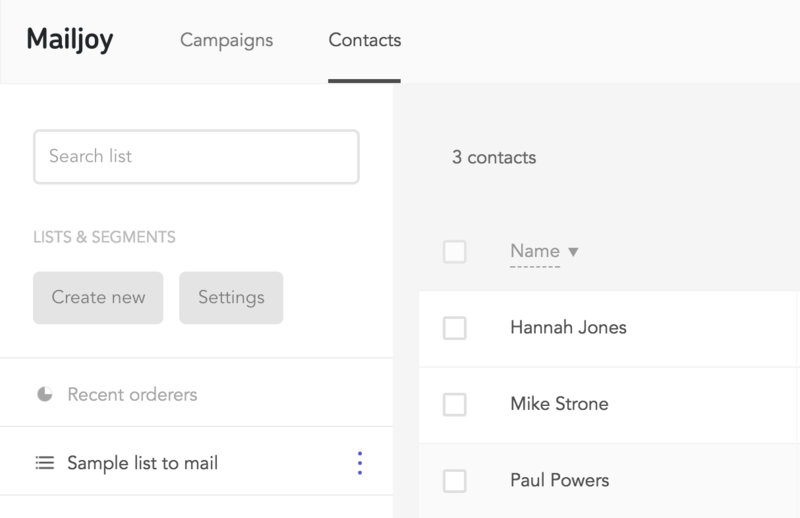 Lists let you organize your contacts so you can create more targeted campaigns. 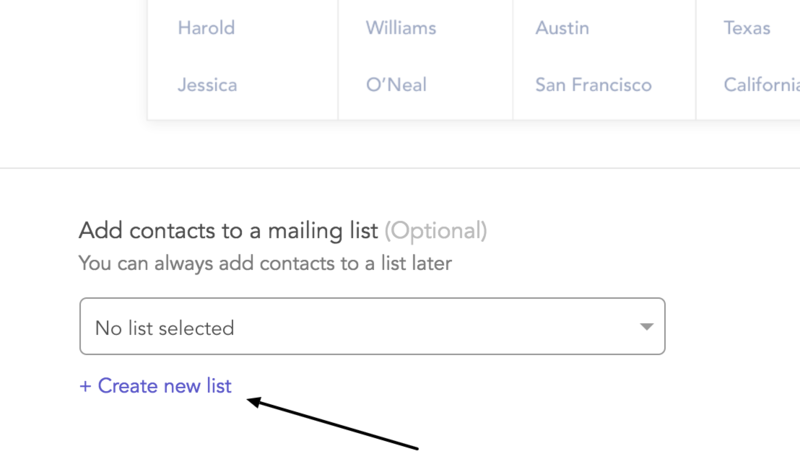 You can create and manage any number of lists, and each list can contain as many contacts as you want. 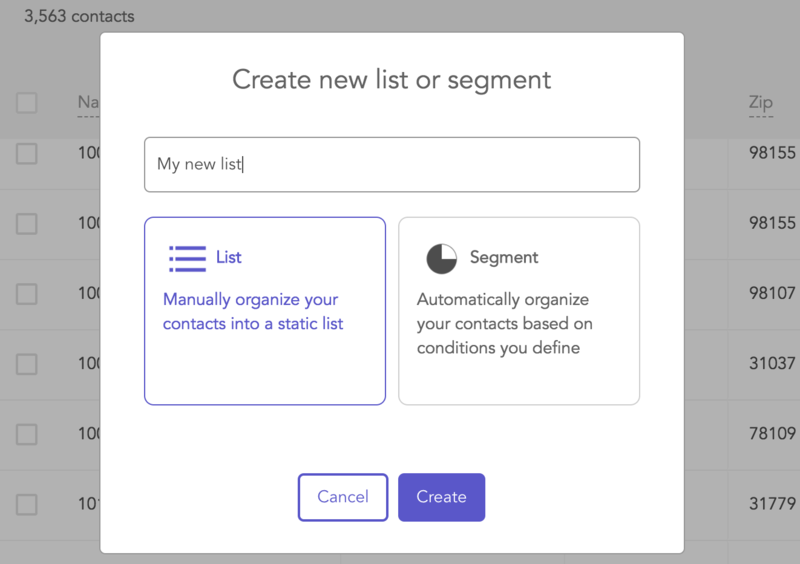 Lists and segments are both ways to organize your contacts into more precisely defined mailing lists. Lists are static. You have to manually add and remove contacts. Segments on the other hand, are dynamically created and will continue to change who's in the segment as you add/remove contacts or change the criteria. 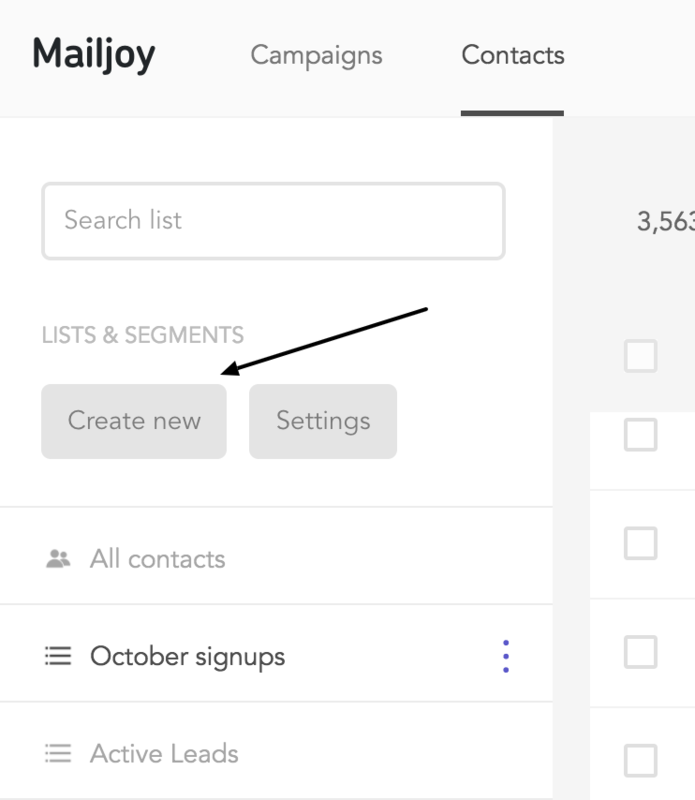 1) The first is by clicking Create new in the left panel on the contacts page. You'll now see a modal where you can enter the name of your new list. 2) The second is on the import page when you're preparing to import contacts. Click the Create new list link. To see who's in a list and manage it, simply select it from the left panel within the contacts page. This will filter your contacts to only the ones in that list. If you want to manage the list's properties like changing its name or deleting it, click the three purple dots that now appear next to the list's name. When creating a targeted mail campaign, you'll have to choose a mailing list. This can either be all of your contacts, a specific list, or a segment. When a list is used in a campaign, the number of mailers you will pay for and send is dependent on the number of contacts in the list. This means if your list grows or shrinks before you order, the number of mailers you send will adjust accordingly. 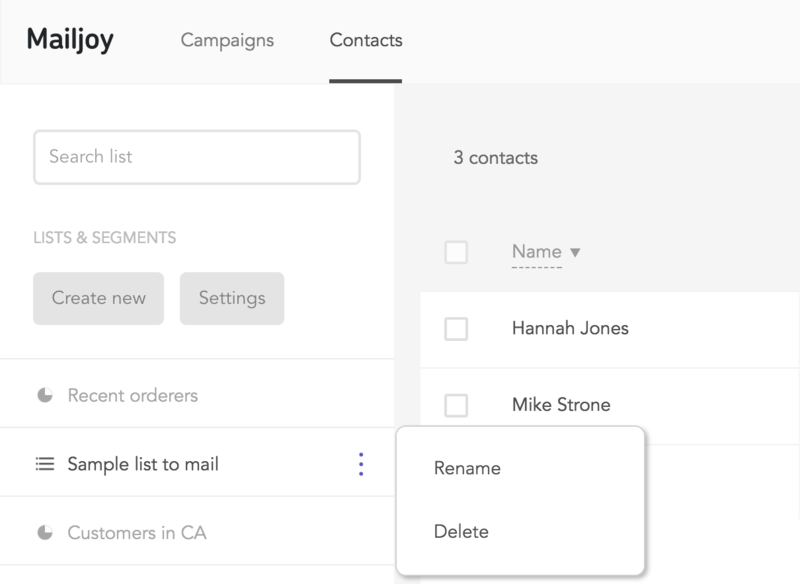 When you delete lists, the contacts within them are not deleted. They're simply not in that list anymore because it no longer exists.